You may receive updates from Fund Our Future, the sponsor of this petition. Students, parents, educators, and community leaders know that there is an urgent public education funding crisis facing Massachusetts. That’s why we’ve proposed two pieces of legislation to address education funding, the Promise Act and the Cherish Act which will increase state education aid by $1 billion per year for preK-12 public schools and by $500 million a year for our public colleges and universities. We demand action from our lawmakers for fair and equitable public education for every student in the Commonwealth from preK through college. As students, educators, parents, and community members, we demand an end – this spring – to the decades-long underfunding of local public schools and public higher education in Massachusetts. We call on our legislators and Governor Charlie Baker to support the Fund Our Future legislative agenda: the Education PROMISE Act to update the state’s outdated school funding formula and meet the recommendations of the Foundation Budget Review Commission, increasing state funding for preK-12 public schools by more than $1 billion a year; and the CHERISH Act to end 20 years of budget cuts and meet the recommendations of the Higher Education Finance Commission, increasing state funding for public colleges and universities by more than $500 million a year. 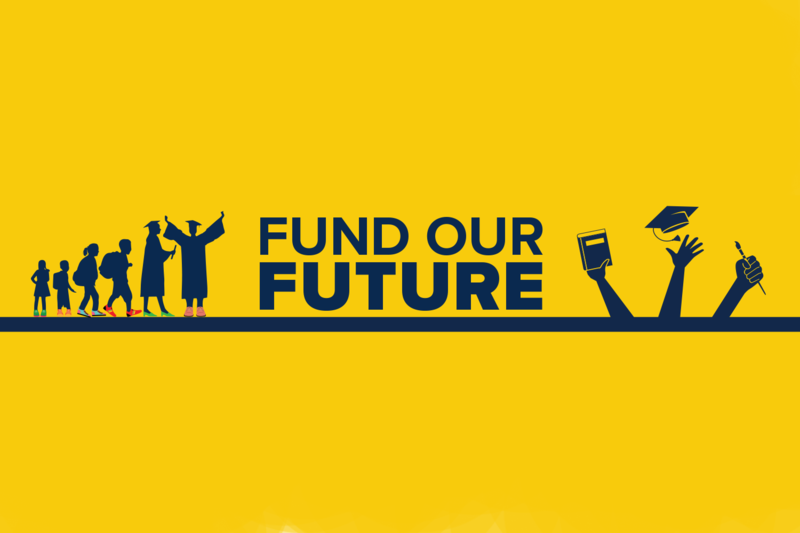 We call for this major reinvestment in public education to happen in time for local communities to include the funding in the next academic year’s budget and in time for public college students to avoid tuition and fee hikes this fall. With these bills, we can begin to repair the persistent education inequity that often exists between students in one community and those in the city or town right next door. We know what we need to do. We can’t afford to wait.